induction Heating Assures Fast as Well as Consistent Heating for the Manufacturing Applications like Bonding, Changing Properties Etc. of Metal. 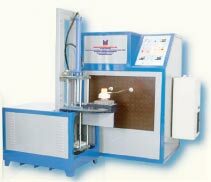 We Provide Technically Sound Induction Heating Machine that Offers Excellent Performance with Minimum Maintenance. induction Heating Machine Offered By Us is Perfect for the Heating Applications of Various Metals. Our Induction Heating Machine is Available for Custom-built Applications with Apt Coils and Complete Automation. We are Well Reckoned as One of the Dominant High Frequency Induction Heating Machine Manufacturers Based in India. Frequency range 05 - 200 kHz. 05 - 30 kHz. 05 - 30 kHz. 05 - 30 kHz.